NEAL HOWARD likes to create things that stand out in a crowd. For 30 years she has been hand dyeing silk yarn, and hand weaving it into wearable art. Her subtle color transitions, and rich spatial patterning, result in an unusual aesthetic with unmistakable panache. Whether you buy HENCEFORTH YARNS to create your own fiber designs, or step out in NEAL THE WEAVER'S wearable art, NEAL HOWARD'S luxurious fields of color indulge your senses! Hand dyed silk yarns for crocheting, knitting and weaving - a perfect gift for the creative in your life. 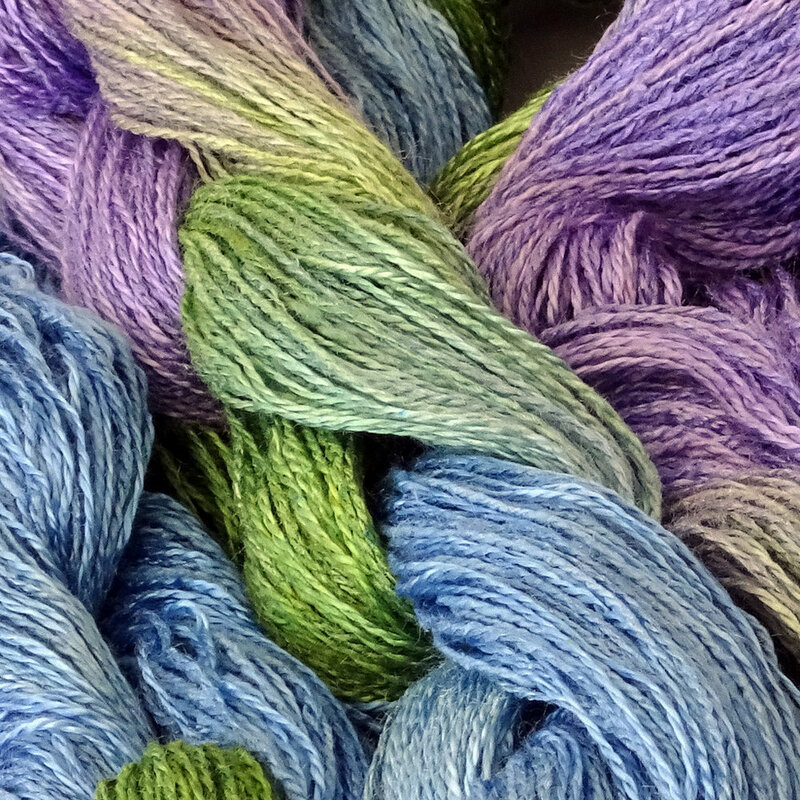 These hand dyed silk yarn kits put the magic of Neal Howard's colors and patterns in your hands. Wrap yourself in the luxury of a handwoven Shibori silk scarf - eye catching style for women & men.